Thanks for visiting our Aikido Photographs Gallery with dozens of interesting pictures from the Arun Aikido Club. 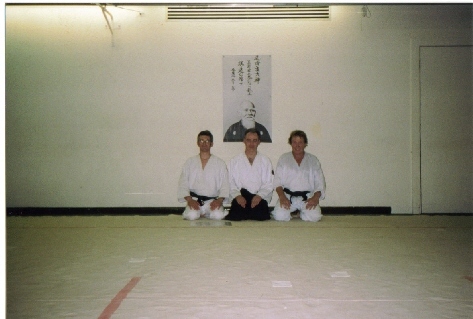 This was taken soon after the Aikido 1st Dan black belt gradings of Ken Ryall and Julian Jessup. 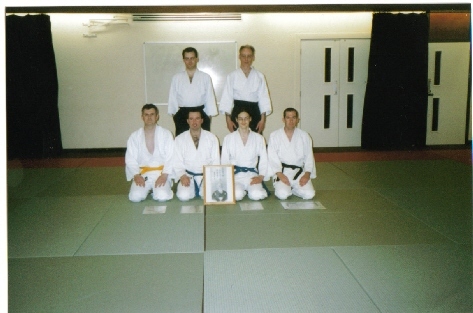 At the Arun Aikido Club our policy was to prepare our students thoroughly before they are graded. This gave them a much better chance of success. A demonstration we gave at a country fare, just outside Bognor Regis UK. 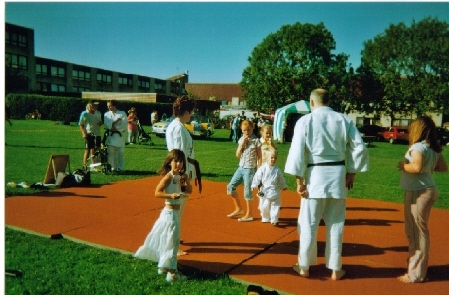 We could not get mats for this demo, but we didn't let that stop us, as we were used to hard training! 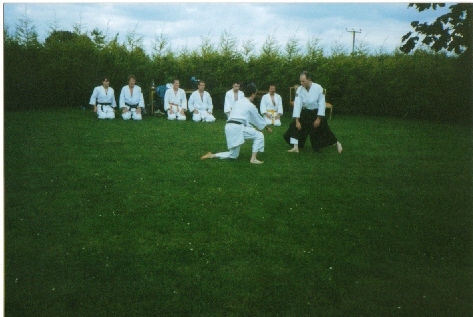 Taken during an Aikido seminar at the Arun Dojo. Either side of me are Robert Prince and Phil Buck. 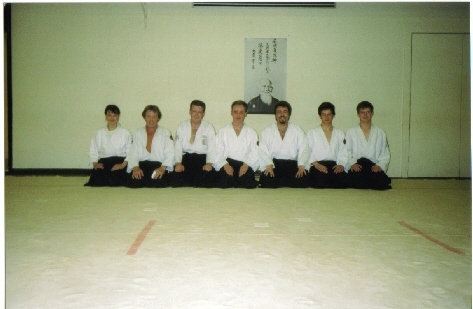 We all had a great experience as we focused on Aikido Yoshinkan Basics and Aiki Principles. 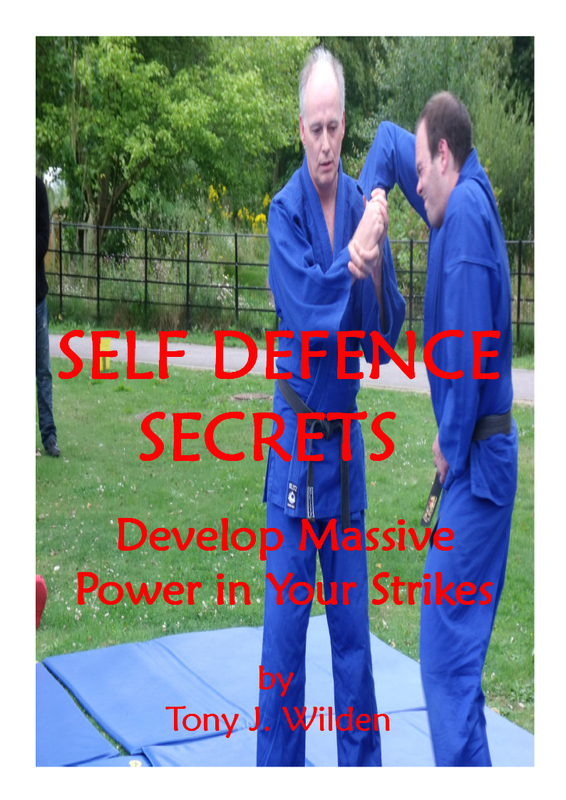 Here I was explaining to my students that it is essential to take the balance away from your attacker. 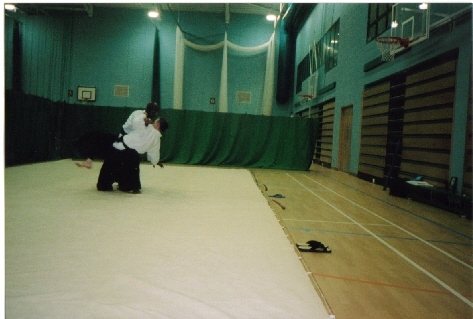 In this example I was double weighting Robin using Ikkajo (ikkyo) before controlling him on the floor. 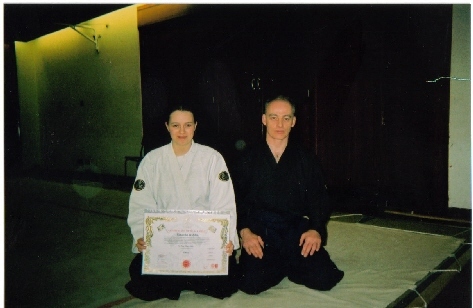 Here I am with my daughter Natasha, just after I presented her with a Shodan certificate. This was on behalf of the NAKMAS organisation, who we were affiliated to at the time. 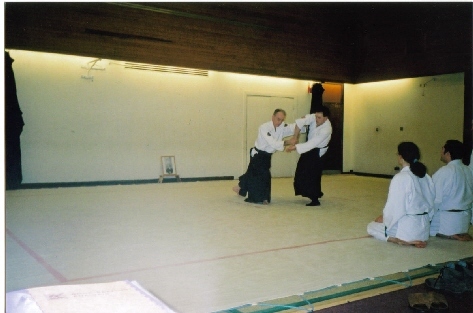 I had the opportunity of a one-to-one session with Ken Dehaan of the Aikido Circle. 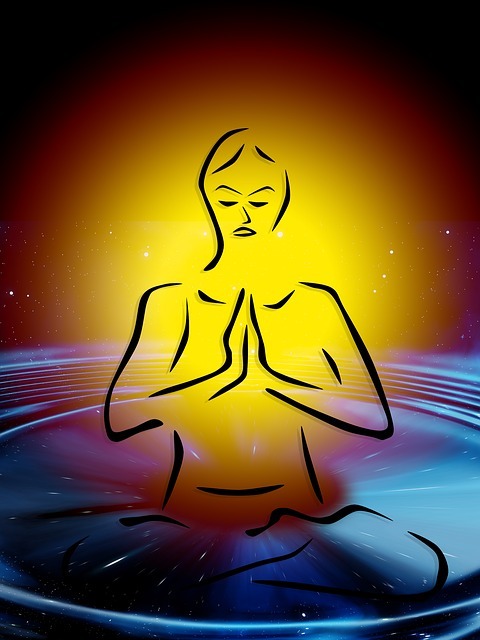 We took it in turns to choose the techniques we would work on. Ken is an excellent Instructor with tons of experience. He is great with adults and kids. 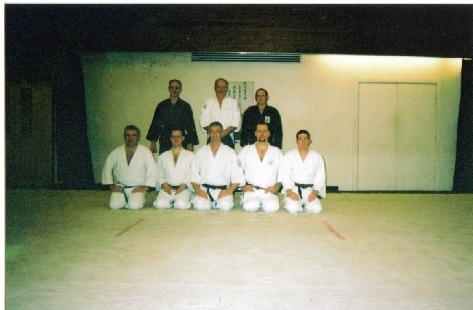 This was taken after a regular class at the Arun Aikido Club Dojo in Bognor Regis UK. Assistant Instructor certificates were awarded to Ian Upstone and Dave Foxwell after many years of hard focused training. 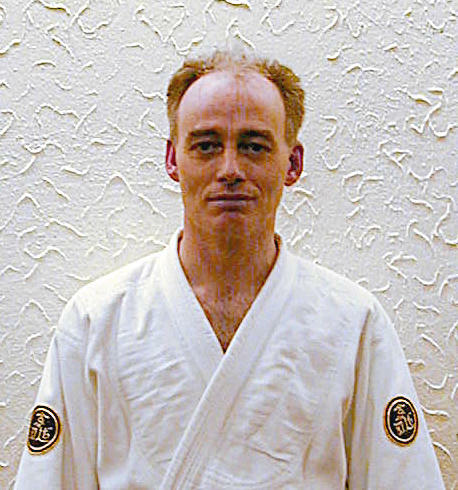 In this grading Ian Upstone was awarded his Shodan 1st Dan black belt certificate. As you can see our grading numbers were gradually dropping. It was always difficult to find new students... who were willing to train hard for a number of years. 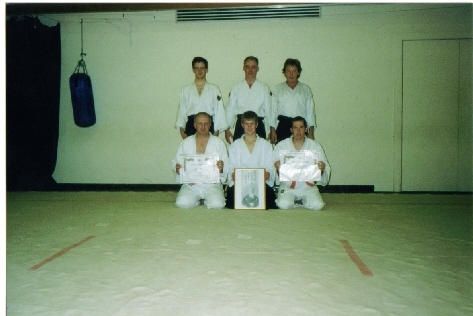 Gavin 5th kyu, Robin 2nd Dan, Anthony 3rd Dan, Steve 1st Dan, Ian Instructor. 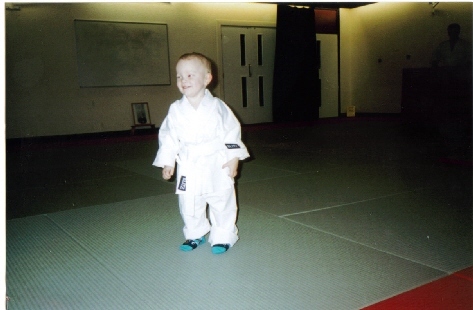 This is my daughter's son Samuel when he had his first class (nice socks!). Yes... I know I am a grandad. 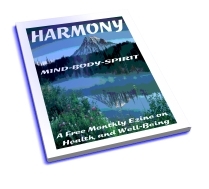 This was another come-and-try-it session we gave for the Arun District Council. It was a very busy session and my assistants were kept busy. 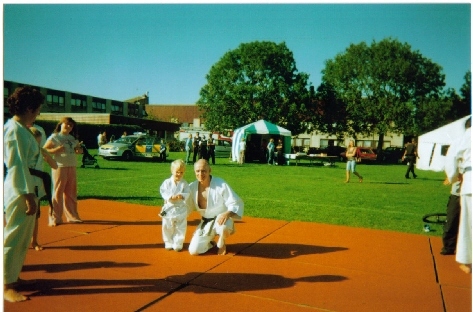 Featured are Samuel Wilden and Grandad Tony! As you can see the class was popular and the kids really enjoyed themselves. They also learnt some valuable information about Aikido. Thank YOU for joining me on this journey down memory lane. 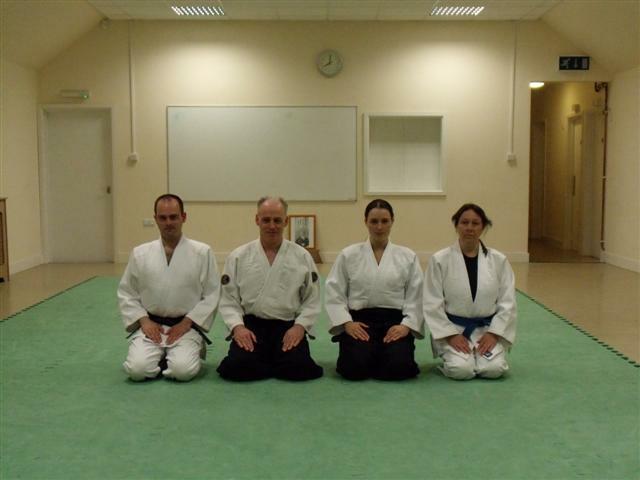 We hope YOU enjoyed looking at our Aikido Photographs Gallery. 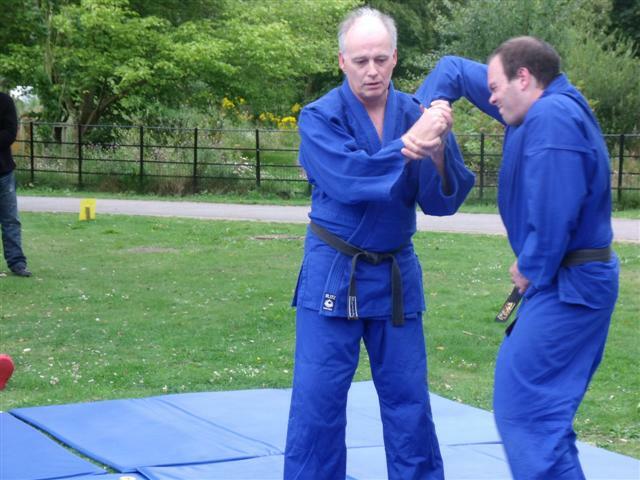 Check out more Arun Aikido Club pictures are here..